We're celebrating our 16th year in business. (I know it still says 14 over there, bear with us.) Thanks for your continued support! Read the latest reviews written by our customers. 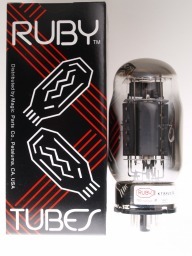 The Tung Sol 12AX7 is warm and big musically. 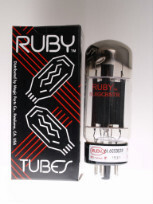 Very consistently made tube. High gain, super low microphonics, and superb linearity with a three dimensional tone. The new solid plate, triple getter Ruby KT88V-STR has excellent reliability, focused soundstage, and a wide linear frequency response.